Every year, on March 17, one of the most well loved events is celebrated in Australia – St. Patrick’s Day. You probably know that this celebration is meant to pay tribute to Ireland and its patron saint, St. Patrick. It has become an annual celebration not only for Ireland but for most countries all over the world, too. In fact, every year, grand celebrations are held in New York, London, and even Tokyo to commemorate St. Patrick’s Day. People flock to the streets wearing their best Irish costumes as they join the merrymaking and watch parades, leprechauns, floats, and the entire Irish regalia in full swing. If you’re planning to host a St. Patrick’s Day themed party, you have to think green. That is, everything should and must revolve around the color green. After all, you can’t call it 100% Irish if green isn’t in. It’s more than the tradition – leprechauns, shamrocks, etc. – it’s to imbibe Ireland’s lush panoramic landscape into your home or the party venue you have in mind. You can get plenty of party ideas online, and a party supplies shop selling a huge range of St. Patrick’s Day party supplies can help you kick start the planning. You can set the tone of the party with the invitations. Pour out your creative juices and take on a DIY invitation project using green and gold in on an immaculate white paper. Fill it out with Irish symbols and do your best interpretation of Irish script as you write the details of the party. 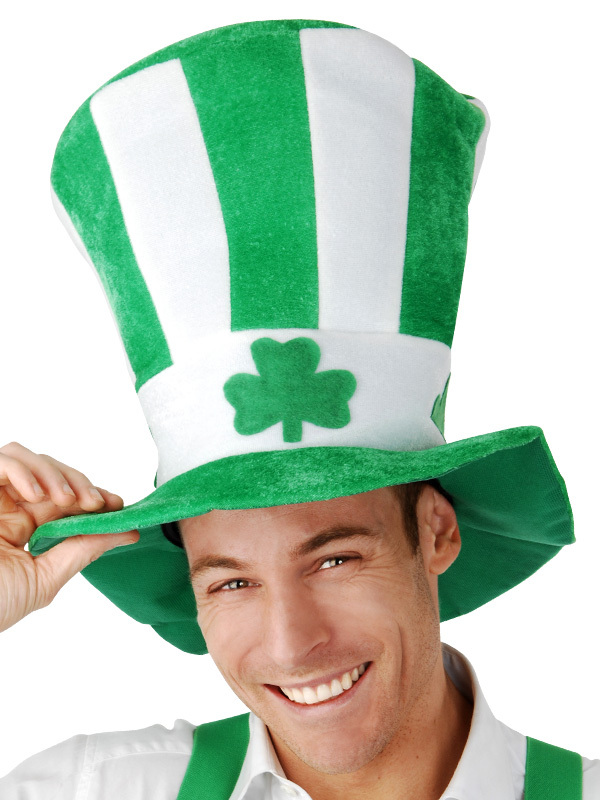 Clearly indicate on the invites that guests should wear St. Patrick’s fancy dress costumes and accessories to amp up the Irish feel of the party. Next, go all out with your decorations. Make sure your guests don’t miss your house by pointing them to the right direction with St. Patrick’s Day street signs. This occasion actually allows you to decorate without inhibitions, as you can work around so many ideas and supplies. Logs, barrels, lots of fresh plants, shamrocks, cauldrons, gold coins, and Irish flags are elements you can incorporate in your design idea. Then, spread a green shamrock table cloth on the buffet table, making sure to go traditional by serving an all-Irish food selection. Fish and chips, emerald eggs, corned beef and cabbage, shepherd’s pie, lamb chops, Irish lamb stew, and Irish potato cake are some of the delectable fares you can spread out on the table. In addition, make sure there’s plenty of brewed Irish coffee and beer! 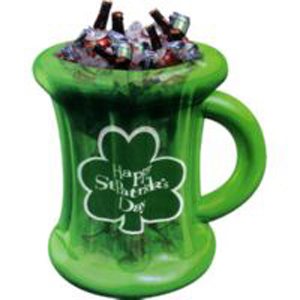 Keep your Irish beers chilled in a St. Patrick’s Day inflatable beer mug cooler and serve cocktails in silver drinkware and garnished with green olives in green flag Shamrock picks. 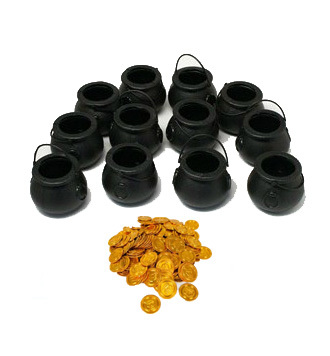 As a thank you token to guests, send them home with mini pots filled with gold coins and other treats. Add in a pot of live clover plant for good luck and wish your guests well on St. Patrick’s Day. This entry was posted in Party Supplies, Party Tips, St. Patrick's Day Party, Themed Party and tagged party ideas, party supplies, st. patrick's day costumes, st. patrick's day street signs, St. Patrick’s Day green swirls, St. Patrick’s Day inflatable beer mug cooler on March 13, 2015 by Vanessa Osborne.